aaront formerly from onenumberprinciple and odds against me (later in The Laramie Itch, Moving Monuments, 24 Frame Media) has a solo record out called the fall of the midwest. It features many songs that he wrote, incorporating full backup bands as well as tape loops, lo fi material, and a certain amount of aaron's moog sounds (which, interestingly enough, also appear on cadillac blindside's new EP). It features guest appearances by Miket, myklj, Chad Arnold, Mark Cutshall, and others. It also features aarons remix of the onenumberprinciple song short fuse that appears on Stagnation in Progress. 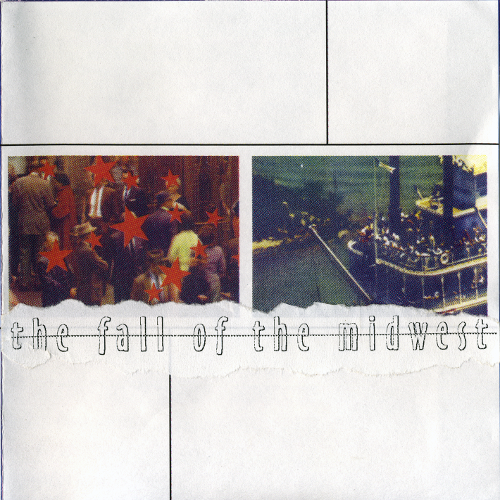 the fall of the midwest was not an official Last Minute release, but is listed here for the sake of preserving an accurate history of the label. It is no longer in print and hence, not available for purchase.